Should you have any questions or concerns regarding brush and tree limb pick up that are not answered below, please contact Water/Wastewater Operations Assistant Manager David Dunn at (972) 780-5079. Brush pick up is provided to residential customers by Republic Services (a subsidiary of Allied Waste) and can be reached at (972) 225-4207 or (972) 225-5252. Small piles of brush, limbs, and tree trimmings should be placed at the trash pick up location. Brush must be cut in 4 ft. lengths. Brush, trunks, and limbs cannot exceed 6 in. in diameter. Secure in bundles weighing less than 50 lbs. with twine or string. Stack neatly at your trash pick up location with a height not to exceed 3 ft.
Brush must be separated from trash, recycling, and bulky items. 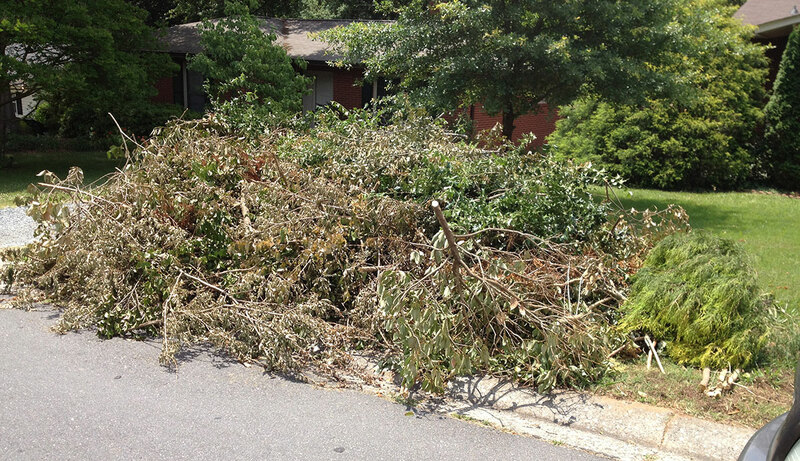 Large piles of brush, limbs, and tree trimmings must be placed in front of the house at the curb. Cut brush in 6 ft to 8 ft lengths. Weight must not exceed 50 lbs per branch. Stack brush loosely and neatly at street curb with the large ends facing the street. 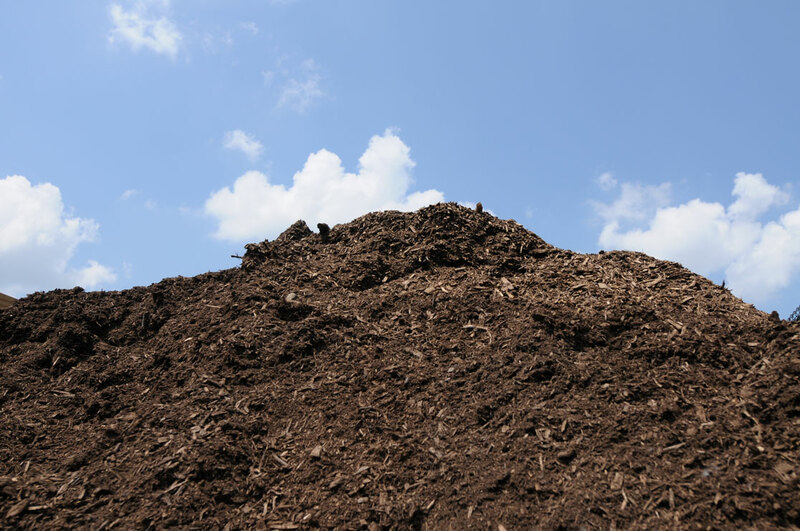 Brush piles be free of metal, wire, fencing material, vines, and trash. Piles must be at least 6 ft. from mailboxes, cars, utility poles, wires, or any other obstructions that could potentially be damaged and/or cause a delay in service. The boom truck cannot fit in alleys. All brush piles exceeding 4 ft. in length MUST BE PLACED OUT FRONT AT THE STREET CURB. Free Mulch is available to Duncanville residents only at the Service Center located at 330 Shady Trail. No. You do not need to schedule a brush pick up. Republic Service provides brush pick up services for the residents of Duncanville. If you have a small amount of brush you can put it out with your trash. Please refer back to the brush page for set out requirements. If you have a large amount of brush, place it out front at the street curb. Please refer back to the brush page for set out requirements. Republic Services will service your neighborhood once every 14 days. For questions, or concerns please contact Republic Services at 972-225-4207 or 972-225-5252. When will my brush be picked up? Republic Services has 14 days to pick up brush that has been placed out properly. Please make sure to keep piles at least 6 ft from mailboxes, cars, utility poles, guide wires or any other obstructions that could cause a delay in services and/or could potentially be damaged. Do not mix trash or lumber in with your large piles of brush. If your brush has been out for more than 14 days and is set out properly please contact Republic Services at 972-225-4207 or 972-225-5252. Why is the brush at my commercial property not being picked up? Commercial properties do not pay for brush pickup like residential customers. Commercial properties are charge for garbage (trash) pick up only. This does not include brush or recycling services. You will need to arrange for pick-up directly with Republic Services at 972-225-4207 or 972-225-5252 to have the brush removed from your commercial property. There is a charge to haul debris to the landfill, call to verify the fees.